Spain has authorized Bolivia’s presidential jet to pass through its airspace and continue its journey to Bolivia, the Austrian President has said. The plane was grounded in Austria Wednesday morning over suspicions that Edward Snowden was on board. 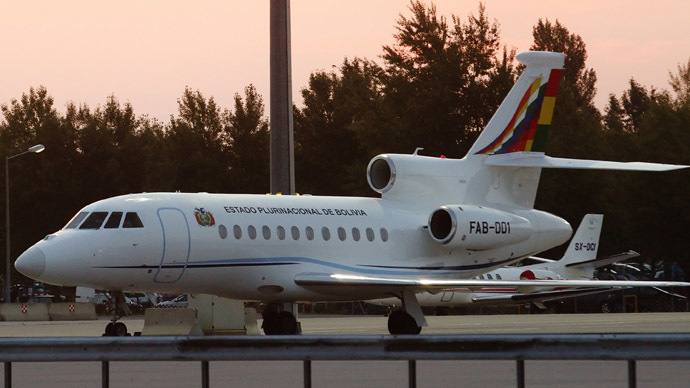 The Bolivian presidential jet has left Vienna and is on its way to La Paz, AFP reports. Morales' jet was forced into landing in Vienna on Wednesday after several EU countries barred the plane from entering their airspace over suspicions that whistleblower Edward Snowden was potentially aboard. Austrian authorities searched Morales’ plane for Edward Snowden, but found no stowaways on board, Austria’s deputy chancellor has said. The plane will now carry on its journey to the Canary Islands where it will refuel before flying to La Paz. Snowden had requested asylum from Bolivia, which has yet to answer his request. The fugitive whistleblower has also petitioned Austria but was rejected. Reports indicated the plane was hindered in navigating Western Europe as France and Portugal would not allow the La Paz-bound plane to enter their airspace. Morales told press at the airport that he was not a “criminal” and reminded EU countries that “we are no longer in the colonial period.” Moreover, he called on the countries that had closed their airspace to him to account for themselves. Several Latin American leaders rallied behind Bolivia denouncing the detention of Morales’ plane. President of Argentina, Cristina Kirchner, decried the situation as “madness” on her Twitter account “The head of state and his plane have total immunity. This level of impunity is unprecedented,” tweeted Kirchner. “Decisive hours for UNASUR (Union of South American Nations)! Either we graduated from the colonies, or we claim our independence, sovereignty and dignity. We are all Bolivia!” Correa proclaimed via Twitter. Ecuador suggested an emergency meeting of the UNASUR after the incident Tuesday. The rare instance of several countries denying airspace to the leader of a non-adversarial country is indicative of Snowden’s current situation. Morales previously told RT that Bolivia would consider granting Snowden asylum if he were to make such a request. Spain initially offered Bolivia a deal: Morales’ plane is searched by the Spanish police and Madrid lets the aircraft pass through its territory. 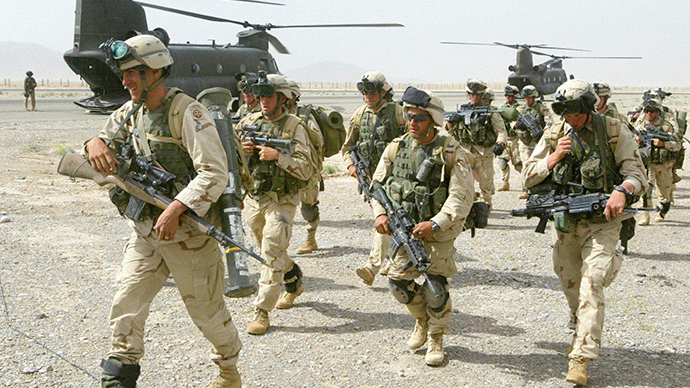 Bolivia said “no”, with the country’s Defense Minister Ruben Saavedra describing the offer as “blackmail”. "It is possible that they want to intimidate us due to the statement made by President Morales that we would analyze an asylum request from Mr. Snowden," said Saavedra. He confirmed that Italy had also denied Bolivia’s aircraft entry into its airspace. According to the Associated Press, Foreign Minister David Choquehuanca has rejected any claims that the plane carrying the Bolivian head of state was denied entry over France and Portugal for anything other than political reasons. 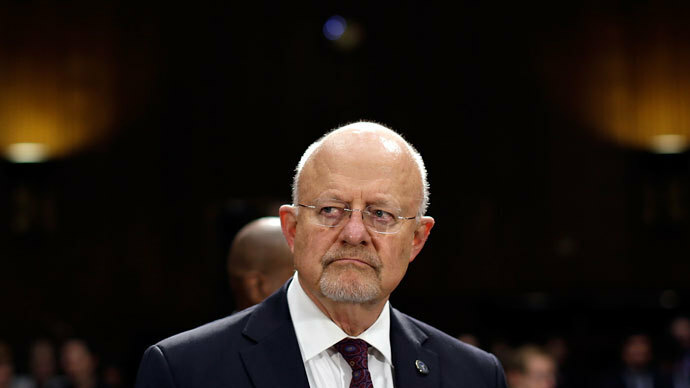 "They say it was due to technical issues, but after getting explanations from some authorities we found that there appeared to be some unfounded suspicions that Mr. Snowden was on the plane ... We don't know who invented this lie," said Choquehuanca. Meanwhile, the number of countries that would agree to provide asylum to Snowden continues to decrease by the day. 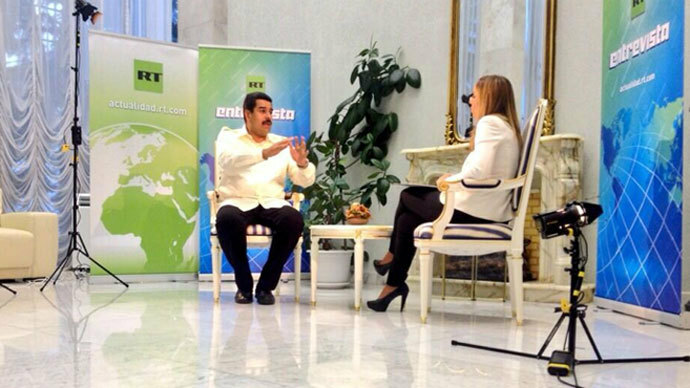 Venezuelan President Nicholas Maduro, speaking with RT, said he would leave the decision up to the Venezuelan people. 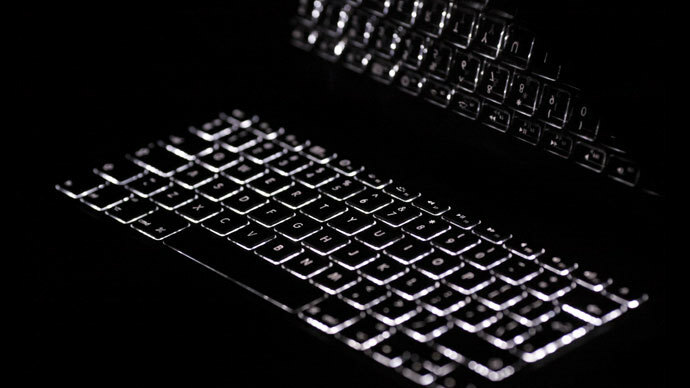 “If Snowden stays alone, he will be destroyed,” he said. “But what kind of crimes did he commit? What kind of bombs did he explode or what kind of missiles did he launch? 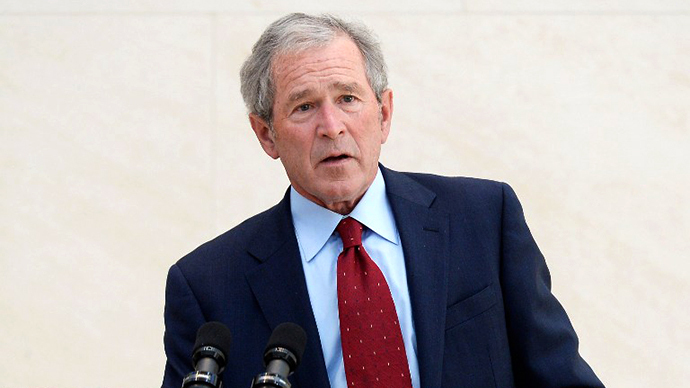 He tries to fight against controlling weak countries. This is why we say that we share what this young man says and that protecting Snowden will protect peace."